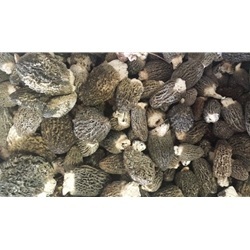 Frozen morels are available all year. These frozen morels are grey and green mixed. Excellent morels. I bought mushrooms from Oregon Mushrooms for several times and each time comes out so good. I coming back again and again! Thanks Oregon Mushroom!! !